Picture this: An NBC show set in a busy Chicago emergency room, following the doctors who work tirelessly to save their patients’ lives, while at the same time having messy personal lives of their own. Chicago Med’s biggest hurdle, at least for those old enough to remember the ’90s, is that it’s not ER. 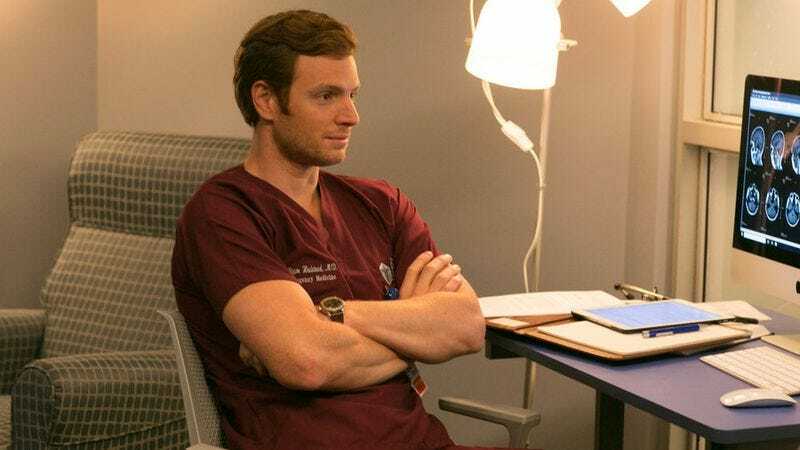 Set in the same city and at the same type of hospital as one of NBC’s most commercially and critically successful dramas, Chicago Med comes with a lot of history and baggage on first glance. For those hoping for the second coming of ER, Chicago Med may disappoint. For those looking for a solid, mostly pleasant-yet-unremarkable hospital drama that hits most of the right beats (even if those beats are all wildly familiar), then Chicago Med delivers. 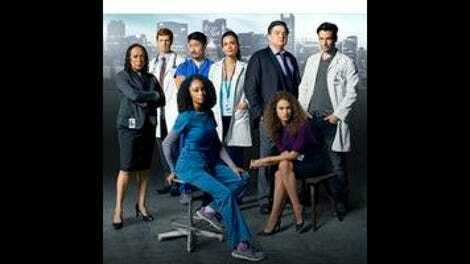 For viewers of NBC’s sister shows Chicago Fire and Chicago P.D., the world of Chicago Med is already established. The emergency room itself was introduced in an episode of Chicago Fire’s third season, and two of Med’s main characters (nurse April Sexton, played by Yaya DaCosta, and Dr. Will Halstead, played by Nick Gehlfuss) have ties to characters on Fire and P.D., respectively. Hospital administrator Sharon Goodwin (S. Epatha Merkerson) and lovable psychiatrist Dr. Daniel Charles (a wonderful Oliver Platt) also appeared in the backdoor pilot, but beyond that, they existed merely to test the idea of adding a third Chicago program to the NBC lineup. The rest of the show wasn’t even formed at that point, and that’s the big question that needs to be answered here: What is the show? The answer is, essentially, that it’s a medical drama that feels very much cut from the same cloth as the shows it’s spinning off from. The doctors try their hardest because it’s the right thing to do, and when tragedy strikes, something good ultimately comes out of them. It’s old-fashioned in its values but wears that traditional nature on its sleeve so proudly that it almost feels admirable. The show isn’t even close to fully formed yet—the relationships between characters are mere sketches, and the mélange of patients, interpersonal moments, and hospital politics is a bit of a jumble—but the foundation feels solid enough to hint that while this might not be the next ER, it’s certainly something that could grow into a fully realized, enjoyable show. What Chicago Med desperately needs is a breakout character; the likeliest candidate is Dr. Connor Rhodes (Colin Donnell), a hotshot trauma fellow who shows up in the first episode like the writers want him to be the second coming of Doug Ross. He’s a mysterious stranger who arrives straddling the gurney of an injured patient, doing CPR to keep him alive. He immediately turns all the nurses’ heads, while making an enemy of one of the male doctors. He has tattoos and is tough enough to stitch himself up after being injured, but is still extremely thoughtful around his patients. He’s basically every cliché of this type of doctor character that’s ever existed, and it’s to Donnell’s credit that he comes off as a person and not a checklist of personality traits. The most interesting aspect of Chicago Med, however, is the world it takes place in. The concept of three intertwined, Chicago-set shows on the same network from the same producers is easy to write off with a laugh or an eye roll, but the shows themselves have formed an ecosystem that elevates all three beyond the realm of a mere joke. Characters drop in and out of storylines on other shows as the narratives warrant; those appearances range from longer arcs about interpersonal relationships to quick workplace-related cameos like the one Chicago Fire’s David Eigenberg gives here. What started out as a neat trick for fueling easily promotable crossover events has become something unique on the current television landscape: Three shows that feel like one big, sprawling, cohesive universe. It’s almost solely designed to reward viewers who watch Chicago Fire, Chicago P.D., and Chicago Med, but it doesn’t hurt that it allows the network the ability to promote both the concept and the inevitable—and mostly fun—yearly crossovers. What these three shows share beyond a city and the occasional character drop-in is an ethos about good guys versus bad guys and the unparalleled importance of helping other people. That spirit carries over easily to Chicago Med. There isn’t anything groundbreaking about what Chicago Med (or Fire, or P.D.) is doing on an episode-by-episode basis, but that’s not really the point. The point is to create solid dramas about the people whose lives revolve around saving others. If those dramas come with the added bonus of allowing giant crossover events, well, that’s just gravy for NBC.